Matt McComb submitted this photo and caption. 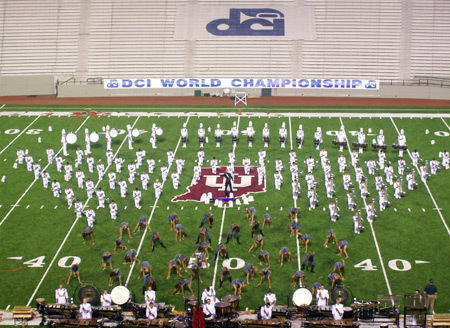 This photo is from the 2008 World Championship Finals in Bloomington, Ind. It was my first time attending the DCI Finals. I couldn't believe the outcome, and I was even more astounded by the minute-long standing ovation before the last note of Phantom Regiment's performance. Wow! I can't wait until next August to sit on the 50-yard line at Lucas Oil Stadium!